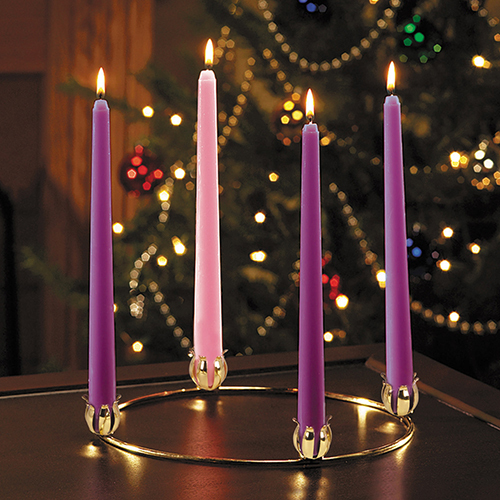 Brass Tabletop Advent Candleholder wreath measures 11 inches in diameter. Our best seller with CWL fund raisers. Ideal for home and school use.